Northwoods Auto Techs in Rhinelander, WI, has remained a top choice in auto repair in the area since we first opened our doors in 1990. 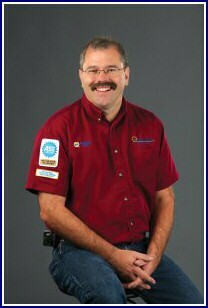 Our shop owner, Paul Marquardt, has been in the automotive industry for over 40 years. Paul received most of his training from aftermarket training and was an automotive instructor at a local technical college for about 18 months. He ended up leaving that position to become a contract trainer for NAPA autotech, and then went on to open up his own auto repair shop. Paul chose auto repair as his career because he loves the challenge and the technical aspect of fixing cars. Outside of auto repair, he runs a martial arts school teaching kids and adults, and is also a licensed pilot and a certified scuba diver. Our shop has the ASE Blue Seal of excellence, is NAPA AutoCare Gold, a AAA approved auto repair shop, and is associated with WACA and NFIB. Most of our seasoned mechanics are ASE Master certified and we also have a Master BMW technician at our shop. Northwoods Auto Techs is known for being one of the best equipped shops in the area, which the best quality modern tools and computer diagnostics. In order to give back to our community, we work annually with the local food bank to raise money. Our goal is to provide friendly and honest customer service by always giving our customers options and providing the best possible solutions for problems. If you’re looking for a new auto repair shop to trust with your vehicle, stop by the experts here at Northwoods Auto Techs. You won’t be disappointed!